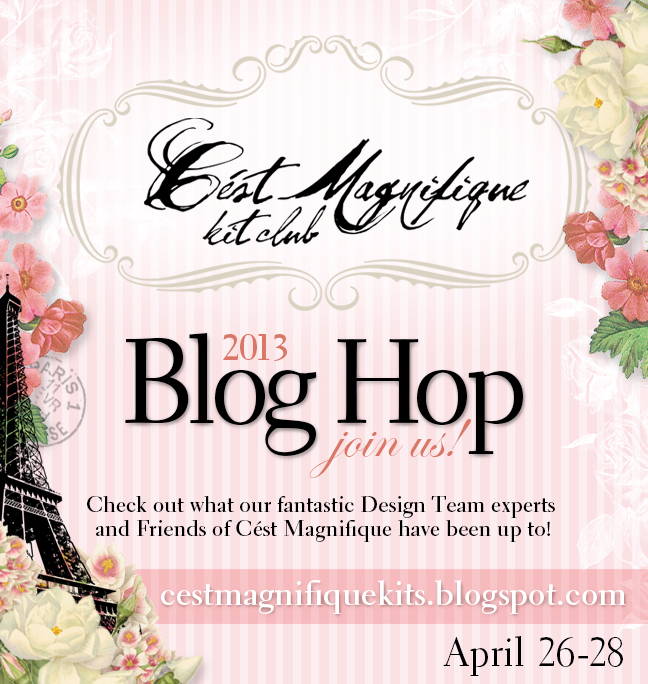 Hello everyone and welcome to the C’est Magnifique Blog Hop!! Spring is definitely in the air and what better way to celebrate its arrival than with the reveal of a kit filled with as much freshness and beauty as the season itself? We are offering so many opportunities to win some truly amazing prizes, and have stops along the way that include our participating manufacturers (Les Papiers de Pandore, Webster’s Pages, and Blue Fern Studios), our own sketch designer Michele Singh, and of course our incredible design team who have created plenty of inspiration to keep you moving through the hop! I was really excited to work with this beautiful kit. Its perfect for spring and therefore perfect for this occasion. I can’t wait to show you some of my creations this month. I used the Webster’s Pages papers for this canvas along with many flowers from the kit. I will show you some close-ups of this project in a separate post in a few days as I don’t want to make this post lengthy. These two little black patent shoes are my daughter’s high heel shoes. She loves wearing them all the time even if its not for a party. I had to take a picture of them to remember her with these shoes at this age. She’s only 6 years old but she loves dressing up as if she’s much older. 1. C’est Magnifique will be giving away 3 prizes valued at over $40 to some lucky randomly-drawn winners! All you need to do is make sure you’re a follower of the C’est Magnfique blog and complete the hop according to the guidelines below- that’s it! 2. I’ve also gathered a small prize for one lucky randomly drawn winner from my blog. All you have to do is be my follower on my blog and facebook page. Leave me a comment to win. This is my prize. 1. Visit each blog listed below. 2. Leave a comment on each blog (and become a follower, if required). 3. Return here and leave a comment letting us know you completed the hop. You have until midnight US EST on April 28th to complete our hop. The winners will be posted shortly thereafter. Good luck…have fun…see you when you get back here! I'm already a follower. Amazing projects and amazing prizes!!! Thank you so much for this great chance. Your work always inspires me Keren, such beautiful creations! Grâce à vous je vois que la collection C'est magnifique permet de créer de superbes réalisation mixed media ! Merci à vous. Great projects and such a fantastic prize! Thank you for thec chance! Keren, wonderful works!) incredible paintS. Thanks for chans to win. Oh my that canvas is just divine, I love the quote you have used. I have become a follower & really admire your work. The birdies on the canvas are lovely & the layout about the shoes was heartfelt. Lovely. Hello! I'm new follower! So beautiful projects! świetne prace, ale scrap jest niesamowity, sprawia wrażenie głębi, że trzeba spojrzeć w dół, o woow. Always love any reason to stop by your site and see what incredible things you are creating! I started following you last month and now I have you on bloglovin, too! Great Hop!!! Wow wow wowwwwwwwwwwww! These are all gorgeous!!! I am IN LOVE with that canvas!! 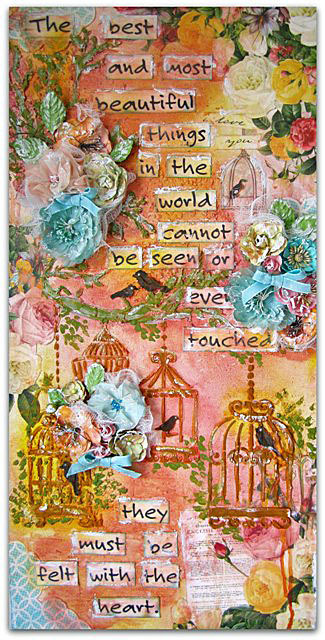 LOVING the birdcages and that quote!! And loving that you captured your daughter's shoes!!! Such great memories to scrap about!! I'm a new follower! Thank you for the Blog Hop! Magnifique idée, de superbes réalisations. I love the canvas,I'm still not brave enough for something like that LOL I've been a follower here and on FB for sometime now! LOVE LOVE LOVE the canvas project ! Gorgeous. Became a follower of your blog and FB page. That canvas is just gorgeous, what a work of art! And I love that you did a layout with those adorable shoes! You are a mega-talent Keren, no doubts! Wow! Love the quote and canvas! Great prize too! Great projects! Thanks for a chance to win! whew hew cute and fun projects!!! What a stunning canvas… and the shoe photo and layout is so cute!! Hi Keren! I am already a follower and thankfully so as I am inspired by every one of your posts! Thanks for sharing!!!! Hi Keren, i'm already a follower via google and also on facebook. Love Love the canvas!! It's beautiful. Thank you for sharing your work. Wonderful hop! Fantastic projects by everybody! Thank you for chance to win! Amazing projects! Thank you for the Blog Hop! Just love the shoe layout. So sweet. Your canvas is gorgeous, love the texture and colors! Following blog and facebook. Love your work. Gorgeous project…love the canvas with the Helen Keller quote! I am a new follower! Thanks for a chance to win! 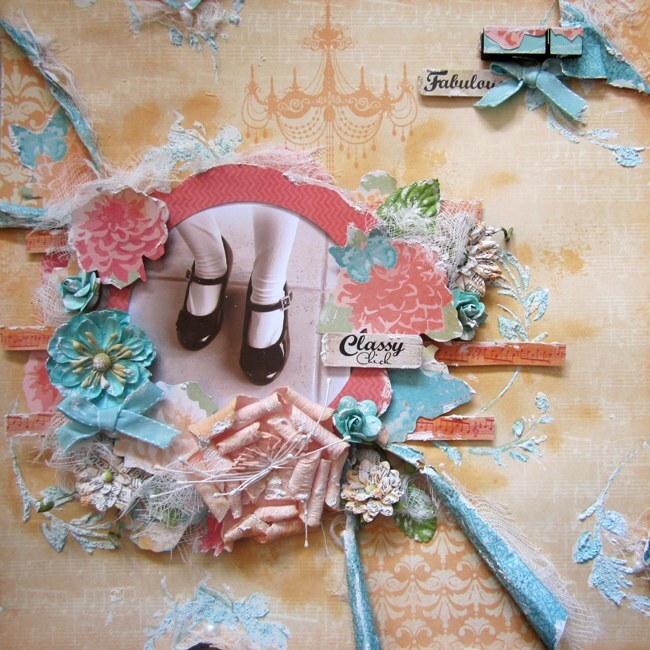 great canvas designed project keren, you make me want to create a canvas… i have one somewhere in my stash!!!! Truly 2 gorgeous creations. I love the shoes… very darling. Thanks for the opportunity to win. I am enjoying the hop so much. Can't wait for the May kit to arrive. Love your work, and your daughter's shoes are very cute. The shoes idea is really cute. I like…. I'm now following you on FB. Fabulous projects, Keren. I'm new to the kit club and can't wait to get my first. This is such an inspriational Hop. Lovely creations! I am now one of your new followers! So beautiful ,I loved the colors! Hi Keren!I m an old follower!I loved yoyr canvas!Thank you for the chance to win! Your work is AMAZING!!!! Super well done!!! Wow Keren, that canvas is absolutely stunning! I am now a follower – thanks for such great inspiration! Thrilled to be following you on Bloglovin and FB. Your work is incredible-the canvas spoke straight to my heart.I want to learn how to create something that moving. Wow…your projects are amazing…the details on each!!! I adore your taste to details! So soft and feminine! Such a beautiful collection of goodies. Would be amazing to be a winner! Awesome creations. The canvas is just stunning and more precious and true wording one cant find. Just stopping to catch my breath and to say hello, from the bottom of the world. Wonderful canvas and I like the quote. Great layout with your daughter's shoes. А в Россию можно? Тогда я с вами! And in Russia it is possible? Then I'm with you! Hello my scrappy friend – Just hopping through 😉 – I am in LOVE with your canvas! Wow I love the colours on the canvas…very striking and your shoe layout is oh so pretty funny how fast little girls want to grow up and us big girls would give our eye teeth to be young again…such is life! Love your work as always Keren! Gorgeous work! I absolutely love the canvas!